Trials, Tragedy and Resilience – an international exhibit celebrating Montserratâ€™s past on the 250th anniversary of the planned St Patrickâ€™s Day uprising in 1768 begins March 2 until April 20, 2018. The exhibit will be running concurrently at the National Museum on Montserrat, the Grosscup Museum of Anthropology at Wayne State University in Detroit, the Joukowsky Institute for Archaeology at Brown University in Providence, Rhode Island, and the Department of Archaeology and Sustainable Heritage at Aarhus University in Denmark. The exhibit is co-sponsored by these institutions and the Montserrat National Trust. 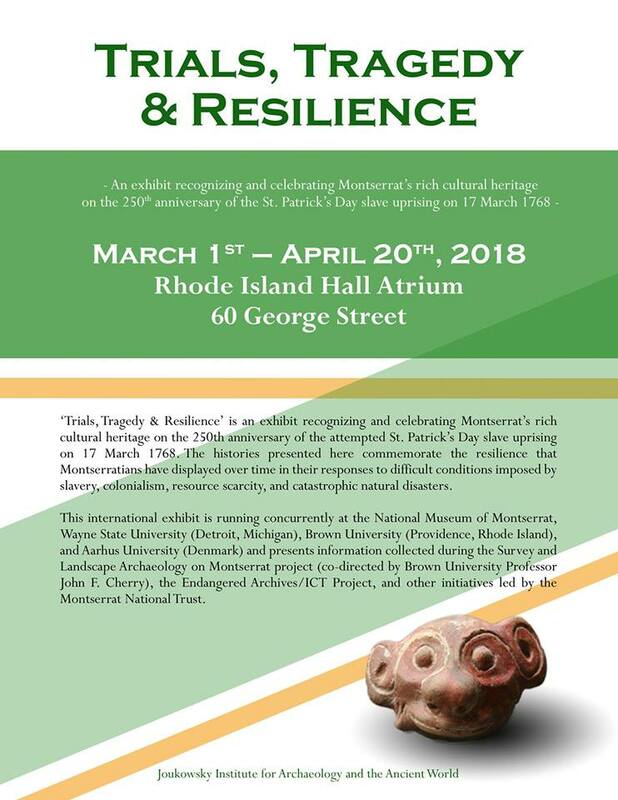 Trials, Tragedy & ResilienceÂ is an exhibit recognizing and celebrating Montserratâ€™s rich cultural heritage on the 250th anniversary of the attempted St. Patrickâ€™s Day slave uprising on 17 March 1768. The histories presented here commemorate the resilience that Montserratians have displayed over time in their responses to difficult conditions imposed by slavery, colonialism, resource scarcity, and catastrophic natural disasters. Discover Montserrat © 2019. All Rights Reserved.